Modern Thanksgiving Ideas. Thanksgiving is the time to celebrate with family and friends and enjoy lots and lots of yummy and delicious food. It is also time to think about all that we are thankful for. Tell the special people around how thankful you are for them and order Thanksgiving Day Greeting Cards from Tiny Prints . Here are a few of Sweet Peas & Stilettos’ favorite Thanksgiving inspired things and more thank you cards too. I can’t image starting a Thanksgiving list with anything but a turkey. Thanks to Martha Stewart and her team – this one looks just about perfect. You can also check out the Williams-Sonoma website for a bunch of cool videos and cooking tips to help you with your feast. Brighten your front door with a new wreath. I always like simple wreaths like this one from Organic Bouquet . 15% of the gross sale of this digital print by Amy Ruppel (available at The Working Proof) goes to American Forests. Give thanks this year by supporting artists, our country and our forests. What does your baby desperately need for her first Thanksgiving? A ruffly leopard print pettiskirt of course. Available at Layla Grayce. You can’t have turkey without gravy! This sturdy gravy boat from Pottery Barn is hand blown of thick soda glass. Neiman Marcus is your place for amazing, super yummy appetizers. This mouth watering brie en croute is available in many delicious combinations including pear/cranberry, mushroom/garlic, smoked salmon, and many more. Encourage your children to learn about our nation’s history as we celebrate a true American holiday. N.C. Wyeth’s Pilgrims by Robert D. San Souci is available at Chronicle Books. Here are a few more Thanksgiving book recommendations from Susan Fry, our resident children’s book expert. This is the time of year when you have an excuse to buy some adorable new clothes for the kids. You will want to keep them warm in super soft sweaters. A little artwork can brighten your home and help your children learn about the change of seasons. Petit Collage has beautiful prints and collages that are perfect in any room. Alkemie lace cuff made from 100% reclaimed metal. This one-of-a-kind design is equal parts art & accessory. Choose your charity and $15 from each purchase will be donated to your favorite charitable organization. If you want to add a modern twist to your table, check out the spunky colorful selection of dinnerware from Jonathan Adler. Great dishes, bowls and cups for holiday celebrations that you can use all year long. You will be spending much of Thanksgiving sitting around the table so why not invest in a pretty new tablecloth to help set the stage. This pumpkin and rust colored one is from Williams-Sonoma. I love a beautifully set table. My mom’s tip has always been to set it the weekend before. It is one less thing to worry about on the big day, and you can enjoy all of your china, silver and crystal all week long. After the sweet potatoes, the stuffing and the second serving of pumpkin pie you will certainly need a week or two of working out to make up for it. You better load up on the workout DVDs now. A few hours with Cheryl & Maks from Dancing with the Stars should should help get you on your way. During the Thanksgiving holiday many of us reflect on all of the things we are thankful for. Sometimes we assume that those closest to us know how much we love and appreciate them. Often they don’t. Maybe this is the year we should all take the time to write a note or two and give thanks to the special people in our lives. 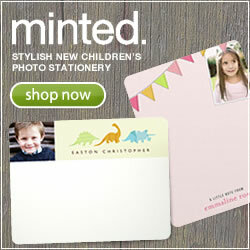 Pear Tree Greetings – $10 off all orders at Pear Tree Greetings with a purchase of $70 or more. Enter 16734 at checkout. Enjoy the selection from Vera Wang Fine Papers and many others.